Mario Becomes fireball Mario. He burns defending pokemon. 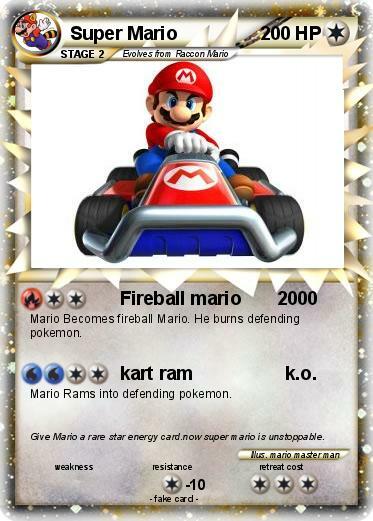 Attack 2 : kart ram k.o. Mario Rams into defending pokemon. Comments : Give Mario a rare star energy card.now super mario is unstoppable.